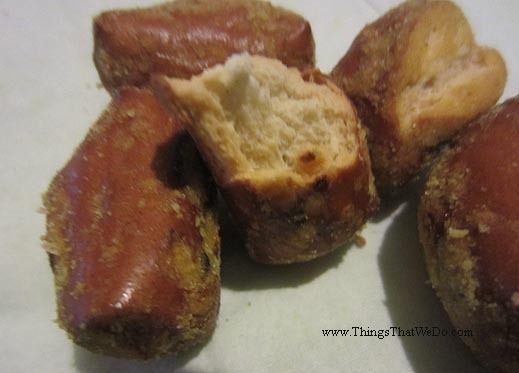 I have to admit, pretzel bites are pretty tasty. They’re crunchy and savoury (okay, a tad too salty) but tasty they are (with a giant glass of water to compensate). 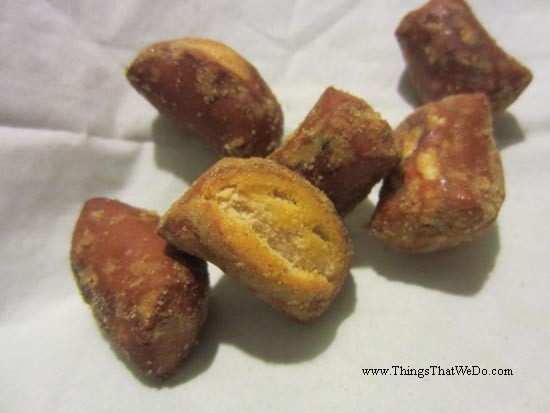 Move over potato chips, I’m in love with these bite size little pretzel bits. 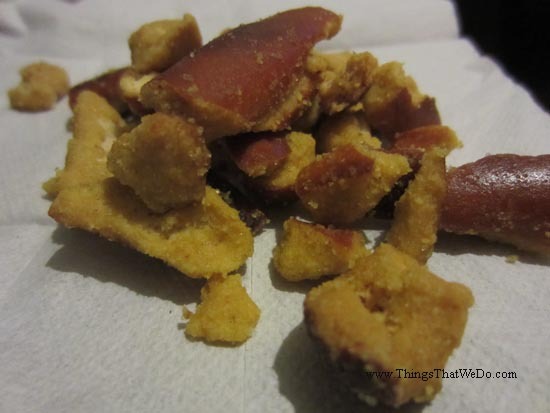 They’re crunchy and flavourful and you only need a little bit to feel happy and satisfied. I was at my local grocery store and picked up this bag of Neal Brothers Foods Honey Mustard Pretzels. I’ve had other Neal Brothers Foods products before and wanted to see how these would fare compared to my usual preferred brand. 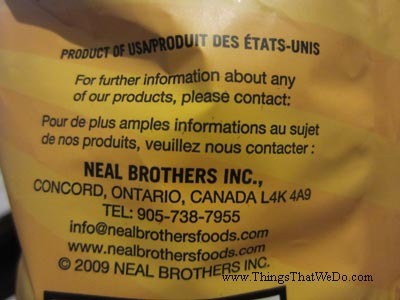 What ingredients are in the Neal Brothers Foods Honey Mustard Pretzels? 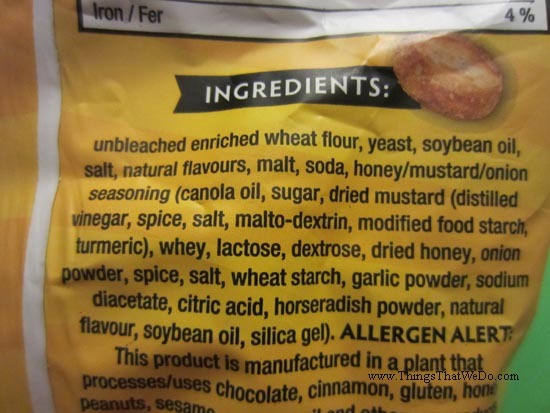 First things first, here are the ingredients that went into the Neal Brothers Foods honey mustard pretzels: unbleached enriched wheat flour, yeast, soybean oil, salt, natural flavours, malt, soda, honey/mustard/onion seasoning (canola oil, sugar, dried mustard (distilled vinegar, spice, salt, malto-dextrin, modified food starch, turmeric), whey, lactose, dextrose, dried honey, onion powder, spice, salt, wheat starch, garlic powder, sodium diacetate, citric acid, horseradish powder, natural flavour, soybean oil, silica gel). You can do the comparison and decide for yourself. 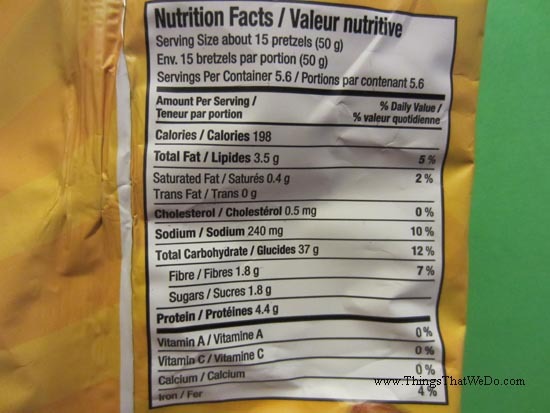 Next, an interesting comparison: let’s take a look at what the two Nutrition Facts for both products. I did make a few observations. 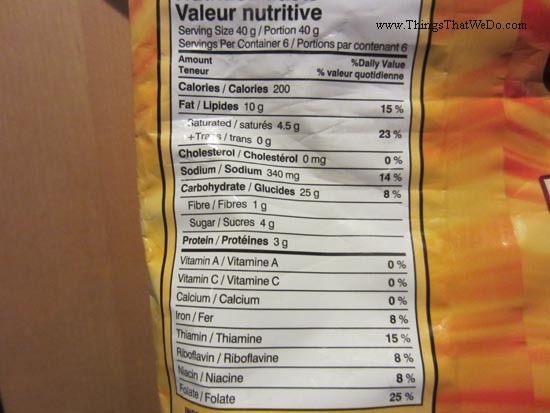 For one, the serving size is bigger in the Neal Brothers Foods (50g) and contains 10% of your daily intake of sodium, 5% of fat, 12% of carbohydrates, but nothing for vitamin A, C, calcium, and finally 4% iron. The Snyder’s of Hanover brand however has, per 40g serving, noticeably more fat (15%), more sodium (14%), and fewer carbohydrates (8%). It also doesn’t have vitamin A, C, or calcium but does have more iron (8%). 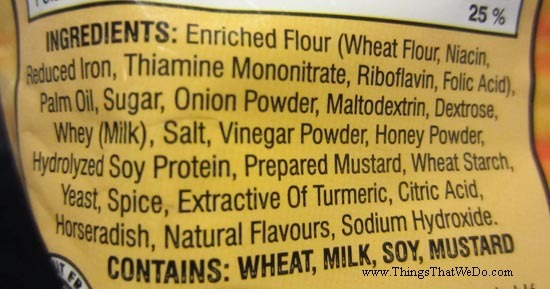 The Snyder’s of Hanover brand also has thiamin (15%), riboflavin (8%), niacin (8%), and folate (25%) which weren’t present in the Neal Brothers Foods version. Thoughts? Actually, let me tell you how they taste before you comment. Cute little identical pretzel bites just ready for the chomping, each lightly dusted with seasoning and they certainly don’t disappoint. 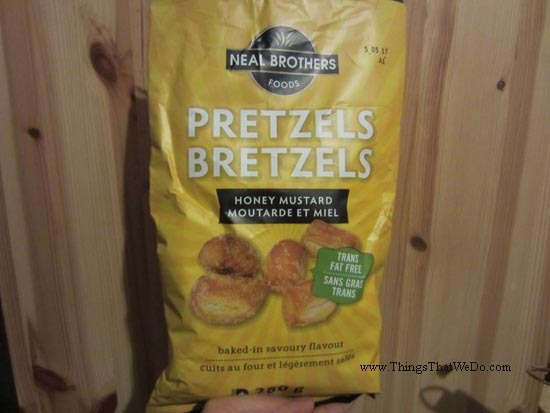 True to expectation, the Neal Brothers Foods honey mustard pretzels are trusty, savoury and have a noticeable honey mustard kick. Although they do have less sodium than the Snyder’s of Hanover brand, I definitely did not find them bland. In fact, I felt the flavours were well balanced – crunchy, slightly sweet with a hit of pungent mustard. In fact, if I had to be picky, the salt could have been reduced even more. In my ideal world, I would put those two elements together and then you’d have ultimate perfection: odd shaped bits lightly dusted with a honey mustard flavour that isn’t too salty…yum. Even better, can you imagien one made with just a few choice quality ingredients? One can only dream. For now, I’m quite happy to keep both on my ‘sometimes’ treat list! If you want to know more about the Neal Brothers brand, see information below!